All walks are wheel-friendly for wheelchairs, prams and strollers. Dogs are welcome on a leash. Registration and merchandise pick up from 08.00am. The walk starts at 11.00am and is approximately 2.0km. Street parking is limited, so we encourage car-pooling and use of public transport. Please be prepared for all weather. Wet or fine, we go ahead! Plenty of food and refreshments will be available from 08.00am, including coffee and sugar-free options, sausage sizzle, bacon & egg butties and home baking. We have lots of great prizes up for grabs in quick fire raffles, silent auctions and spot prizes, as well as a main auction following the walk. The park has a playground to keep the kids entertained, as well as Bumper Soccer. We appreciate your early online registration, which helps our volunteers plan these events (and saves you $5 per person). Your registration fee covers the cost of running the walks. Some walkers also choose to fundraise, which gives the walks a positive ongoing impact. 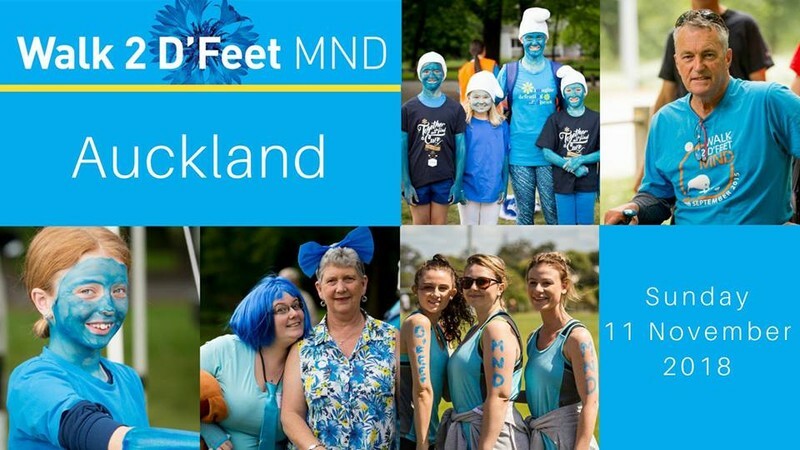 The funds you raise contribute to MND research, and help MND New Zealand provide free support to people with MND and their whanau.